Successfully added to your shortlist! Office Genie has partnered with office space specialists Officio to power our office search helpline. 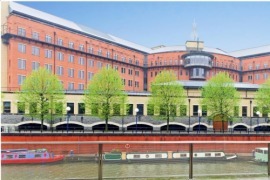 Office Genie gives businesses an unrivalled variety of office space right across the UK. We have a fantastic selection of office rental opportunities throughout central London, perfect for SMEs; but are equally at home finding you a desk in Dundee or a brand new building in Bristol. We started out as Desk Space Genie in 2009 – then the UK's first online marketplace for spare desks and shared office space. But now we've expanded to bring you an office rental search engine which allows you to compare ALL the main types of office space. 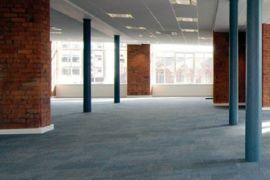 Companies can list their spare desks to rent here free of charge: potential 'deskers' (people looking for deskspace) then search the listings by location and approach as many as they like – also free of charge. Best of all, while our office search was designed specifically for smaller businesses, startups and freelancers, it caters for businesses of every description. 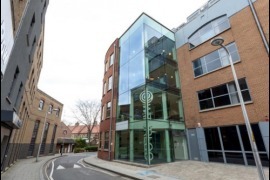 Serviced office space: Often called 'business centres', these purpose-built, flexible office spaces can usually be rented on short-term contracts. Prices often include broadband, meeting rooms, receptions and IT support, while you get the buzz and networking opportunities of working alongside other businesses. Shared office space: These are much like serviced offices, but you hire office space from the incumbent company rather than a building management firm. These are often cheaper too – while you still get to cut down on your admin hassles. 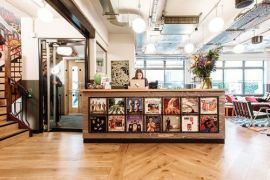 Rent-a-desk schemes: Also known as coworking schemes, these are aimed squarely at freelancers and startups, they offer a hassle-free package where you'll usually find broadband, utilities and security are included in a flat monthly fee. You'll also come across 'hot desk' schemes which work on a more casual 'pay-for-what-you-use' basis. To start your office rental search enter a place or postcode above, or use the advanced search to narrow your options further. Once you've found some great properties, simply get in touch directly with the advertiser free of charge!